Mack Bolan escapes England unhurt but unarmed, praying for a quiet homecoming. This ex­–Vietnam sniper, whose war against the Mafia has taken him around the globe, should have known better. 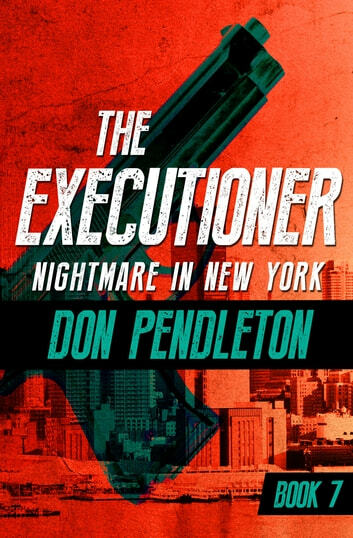 Four mob heavies surround him as he gets off the plane, but it only takes a moment for the man known as the Executioner to take one of their guns as his own. He fights his way to the helipad and lifts off on a short trip to Midtown. The skies are quiet, but the mob will be waiting when he lands. Injured in his escape, Bolan takes refuge with a trio of kind young women, who nurse him back to health as he discovers a Mafia conspiracy to take control of the nation’s government. His European vacation is over, and it’s time for the Executioner to go to work. Nightmare in New York is the 7th book in the Executioner series, but you may enjoy reading the series in any order.